Hard Drive Data Recovery Complete & Safe Recovery of deleted or formatted partition, photos & files. Mac Data Recovery Designed for Mac users to provide comprehensive recovery of all lost data. All Remo Products Explore all Remo Recovery, Repair, Backup & other Tools to Manage your data. Track 0 is an area located at the beginning of a disk. It is mainly used to store information regarding the layout of the disk and the code needs to boot OS. The first sector of Track 0 is known as the Master Boot Record (MBR). MBR contains the code used to boot OS and towards the end of MBR is the partition table which contains the layout of the disk. Track 0 is an area outside of the file system, not accessible by users and hence, cannot be modified easily. However, it can still get damaged at times due to logical or physical errors. Normally, when you encounter this error, data in the SD card becomes inaccessible. How to fix bad Track 0? To fix bad Track 0, you can shield bad tracks using specific shielding software. 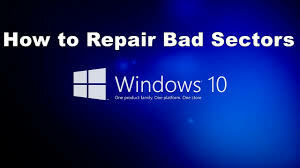 One should be careful when using such software as any minor mistake during the process can cause permanent data loss. If shielding software does not work, you need professional tools like Remo Recover to recover data from the card. Remo Recover is designed to recover data from corrupt, damaged and inaccessible SD cards. It is equipped with efficient scanning algorithms to recover lost or deleted photos and videos from your SD cards. It supports data recovery from internal & external hard drives, USB’s and other storage devices. All types and brands of memory cards like SanDisk, Kingston, Western Digital etc are supported. Some advanced features of the software include Preview and Save recovery session. Preview option enables you to verify recovered files before purchasing the software. Save recovery session is used to save and resume recovery process at a later time. Remo Recover is an easy to use tool to recover missing files from SD card with bad Track 0. You can follow the steps explained to recover your data. Select the file/s you wish to recover and save. Note: Demo version of the software allows you to preview restored files. In order to save your file, please purchase the licensed version of the software. Can I recover lost data from SSD DRIVES? What is GRUB? How to recover lost operating system data after GRUB rescue error? Customer Evangelist @remosoftware. Trying to perfect the art of writing while running a business. Fan of exceptional customer service. 6 Essential Things to Consider while Building a Computer for Video Editing?